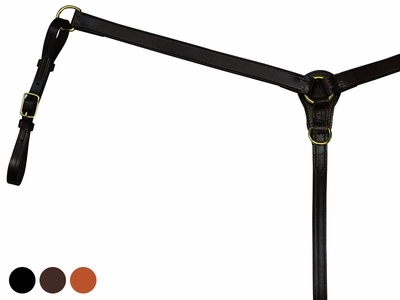 This heavy duty double and stitched breast strap is made of the finest strap leather. 1 1/2" strap. Chest is lined with fleece. Horse size. 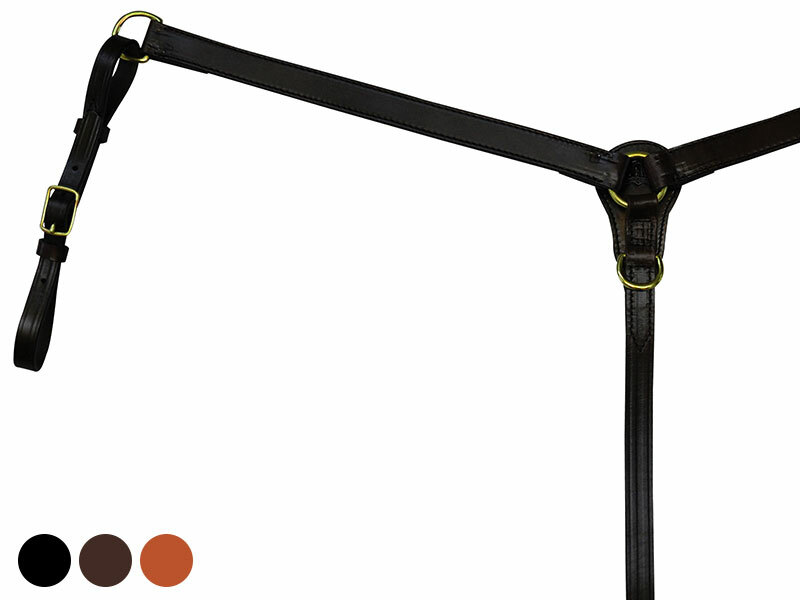 Shoulder to center 28", Center to attachment strap 18", Center to girth 25". Black, brown, or Golden. Chrome or brass hardware.